People movers. Now, they are a different breed, aren't they? In a market where SUVs have garnered immense popularity, MPVs continue to strike a chord with buyers. While many manufacturers have taken a stab at this segment, none have met the success that the Toyota Innova has tasted. And it still continues to outsell any other MPV in the market. The Maruti Suzuki Ertiga comes close, but it's on the other end of the spectrum, leaving a void that's vacant. The Mahindra Marazzo aims to make a killing while filling that very gap. Is it good enough? 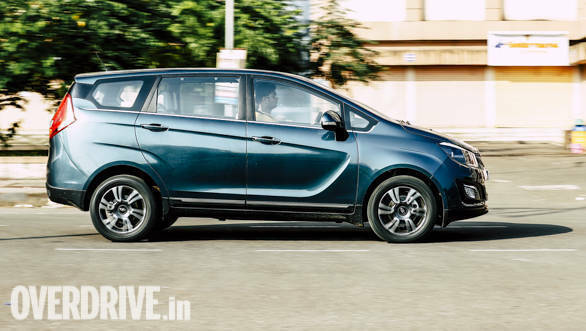 While our first drive review gives you a thorough insight into the Marazzo's shark-inspired design language, out in the real world, I have to say that the Marazzo is a good looking MPV. 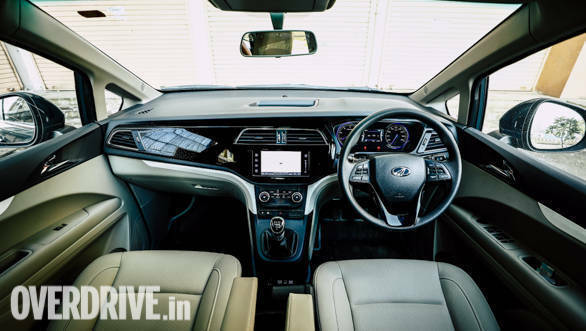 It is bigger and roomier than the Ertiga and only a shade smaller than the much more butch looking Innova Crysta. It conforms to the traditional cab forward, MPV design and, there are a few elements that I quite like. The face, for instance, has a speckle of aggression but not too much to turn off the family man looking to buy this car. The side profile is another area that's nicely executed. The strong crease line that makes an inverted C on the front door is a catchy design element. 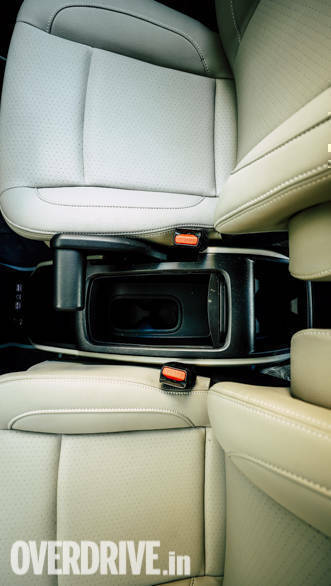 The designers could have chosen to leave the sides bland, like many MPVs, but these little touches add some substance to the Marazzo's design. The tail section is interesting as well and the Shark tail inspired tail lamp is actually quite large. The blacked out, lower portion of the bumper helps in reducing visual mass and overall, the Marazzo looks well proportioned. Oh, and before I forget, I think the diamond cut alloys look very appealing. Step inside and the cabin instantly feels spacious, courtesy the light shades for the upholstery and the lower half of the dash. Though the seats offer decent support, I wish there was additional bolstering, and I'll come to the reason behind that a little later. Space is good in the second and third row, but the lack of under-thigh support on the last bench means it is best suited for kids or for adults over short distances. The dashboard looks neat, especially the piano finish insert that stretches across it. 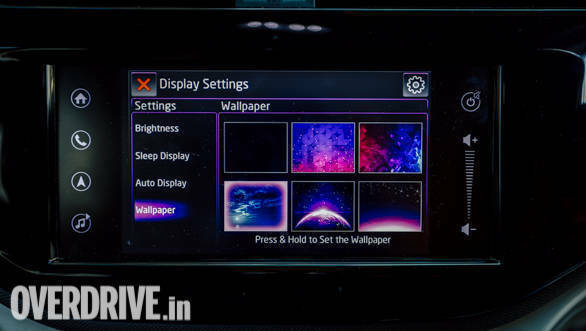 The infotainment system is smooth and easy to operate and displays a plethora of information. I do wish that Mahindra had provided better speakers and it's an upgrade that you should consider. The choice of materials feels better than any Mahindra I've driven before and certainly ups the perception of quality. That said, there are a few areas where Mahindra seems to have skimped on necessary equipment. The indicator stalk does not have a lane change function, the seatbelts cannot be adjusted according to one's height, there's no keyless entry and no push start/stop button for the engine. 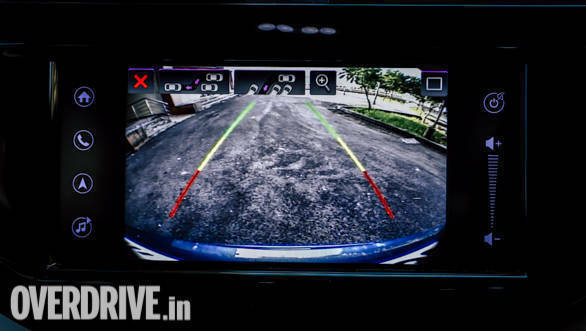 For the price this top variant commands, these features should have been included, especially when you consider the Maruti Suzuki Ertiga that gets them. The engine is the core strength of the Marazzo and it's truly commendable for how silent and smooth it feels. It does not clatter like a regular diesel engine, but instead, settles into a smooth idle when fired up. Displacing 1.5-litres, and mated to a six-speed gearbox, the motor produces 120PS and 300Nm. Now, those figures are decent but what's impressive is the engine makes max torque at 1,750rpm only. What that translates to is excellent driveability in the city. You can potter around in third at 20kmph without a hint of protest from the engine. 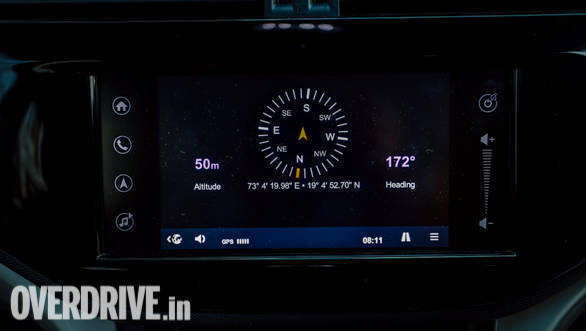 In gear, acceleration is also quite brisk with, as the Marazzo only takes 3.2s to cover the 30kmph-50kmph dash in third gear. This sort of driveability results in very impressive fuel efficiency figures. In the city, the Marazzo returned 14.1kmpl while on the highway, that the figure climbed to 18.5kmpl. 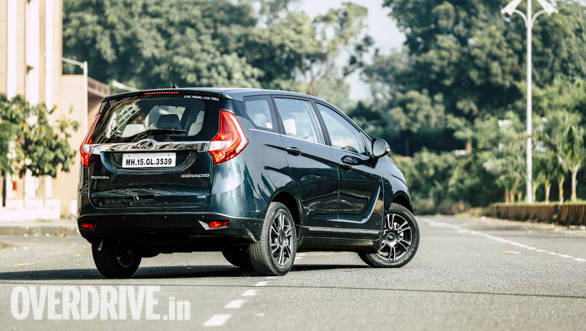 Power delivery is progressive and the Marazzo builds speed quickly until around the 140-150kmph mark after which it feels slightly out of breath. 0-100kmph comes up in 14.1s which is decent for the family MPV. 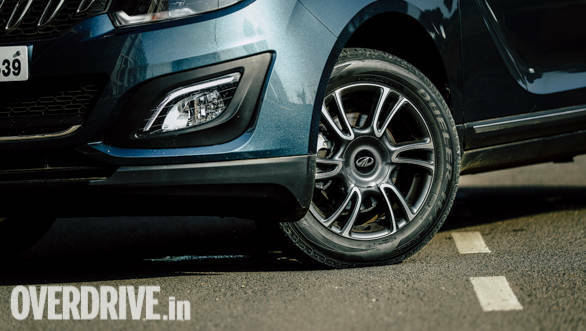 The Marazzo's suspension set up is skewed towards the soft side and it is evident in the way it simply glides over potholes and undulations. A soft set-up might suggest a bouncy ride but surprise, surprise, there's hardly any body movement to speak of. That said, the Marrazo does roll a bit when you go around corners at a fair clip. It's not unnerving but at the same time, you really don't want to get too enthusiastic behind the wheel, with passengers seated in the third row. 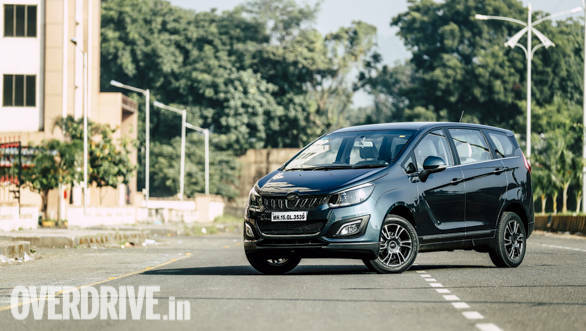 Get beyond that body roll and you'll be surprised how well the Marazzo handles. Steering feedback is genuinely good and the Marazzo sticks to an intended line without feeling twitchy or nervous. The brakes on the Marazzo are good, with a decent amount of feel and feedback from the pedal. It takes 2.6s and 26m to haul the Marazzo to a stop from 80kmph, and it does so without the tail threatening to step out. That said, the soft suspension does cause the nose to dive and I guess it's something owners will have to get used to. Full disclosure here. My family owns a 2014 Ertiga and given our need to travel together, an MPV is our default choice. 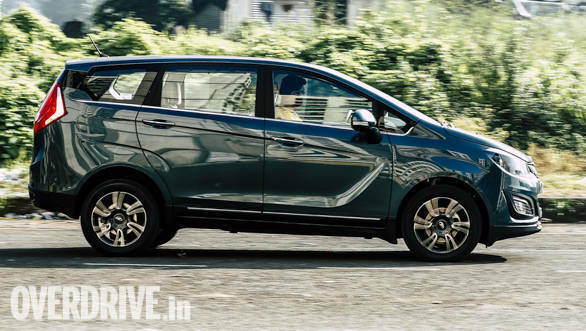 To me, the Mahindra Marazzo is a proper upgrade for someone who owns the current Ertiga and wants to avoid spending a bomb on the Toyota Innova. The Marazzo is spacious, has decent levels of kit, the ride quality is plush and the engine is fantastic. I think it's time to upgrade.